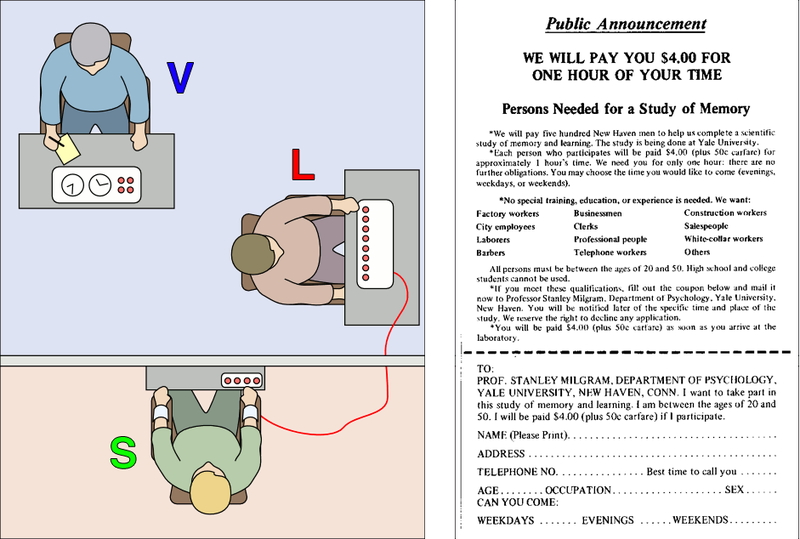 Right: Advertisement recruiting subjects for the Milgram Experiment on memory. “I set up a simple experiment to test how much pain an ordinary citizen would inflict on another person simply because he was ordered to by an experimental scientist. Stark authority was pitted against the subjects’ strongest moral imperatives against hurting others, and, with the subjects’ ears ringing with the screams of the victims, authority won more often than not. 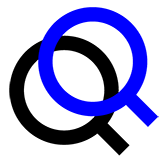 The extreme willingness of adults to go to almost any lengths on the command of an authority constitutes the chief finding of the study and the fact most urgently demanding explanation.” – Stanley Milgram Photo: Wikipedia.